This week we were on vacation near Yosemite National Park. We had a full kitchen so I planned ahead with lots of meals we could bring from home. I also had to cook dinner for 21 one night (Beef Stew) and 23 another night (Chicken Taco Soup) so I planned around affordable ingredients & items I already had on hand. Our cooler space was limited because we decided to drive our smaller, fuel efficient car so I had to choose carefully what to bring along. The closest town had a Von's which is the equivalent of Safeway and a Dollar Tree. I needed fresh fruit, chicken for the taco soup, bread & snacks to pack lunches, and biscuits to serve with the stew. 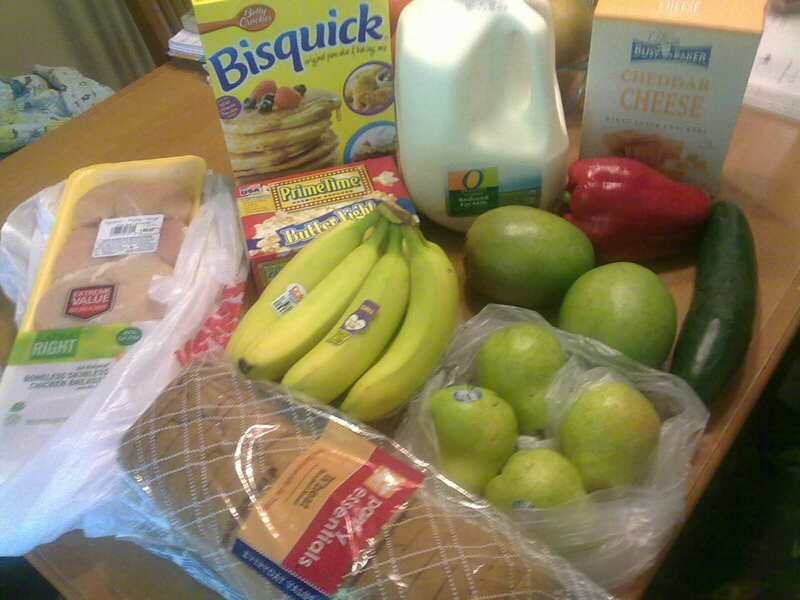 I spent $28.73. We went back after the sales had changed. I was hoping the cheese and sour cream would go on sale. No luck on the cheese, but the sour cream was cheaper later in the week. 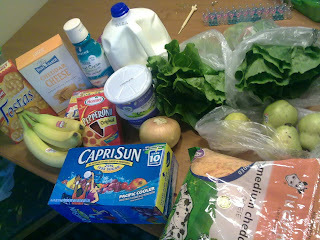 I spent $32.05. Tragedy struck late in the week when DH didn't notice the cooked chicken on top of stove and it sat out ALL day while the moms were out thrift store shopping. 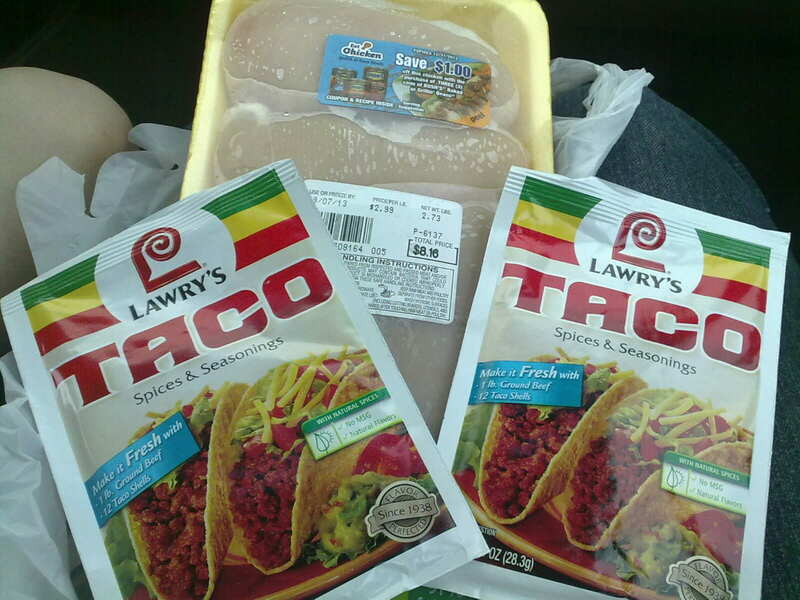 So off to the store we went for more chicken and taco seasoning. I thought I might be able to find some spices among my family members and/or in the provided envelopes but no luck for Mexican spices. I spent $9.65.